Windows CE (A Technical Companion to Windows Embedded Automotive 7, page 7). Windows CE is a distinct operating system and kernel, rather than a trimmed-down version of desktop Windows. To dismiss the “Accept/Decline” CARWINGS screen at start-up without taking hands off the steering wheel, hit the “Driving range button” on the steering wheel twice. Apparently, the SIM card in the LEAF’s CARWINGS telematics module will (sort of) work in a phone, showing a 15-digit “phone number”. The phone number looks like 8823507000xxxxx. 882-35 is the international network number for Jasper Wireless Inc., which is a partner of AT&T. CARWINGS in older LEAF SVs and SLs (2011-2015) works over AT&T’s 2G network. AT&T is terminating its 2G network at the end of 2016. How to tell if your LEAF’s CARWINGS already have 3G: go into “menu, carwings, carwings settings, down arrow, unit ID information. 2012-1, or anything other than 2012: already 3G; requires no update. Upgrade path: an updated Telematics Control Unit (TCU) will allow CARWINGS to work on 3G. 2015 LEAFs will get free TCU update. Part number of new TCU was reported to be 283BO-6NF2A. 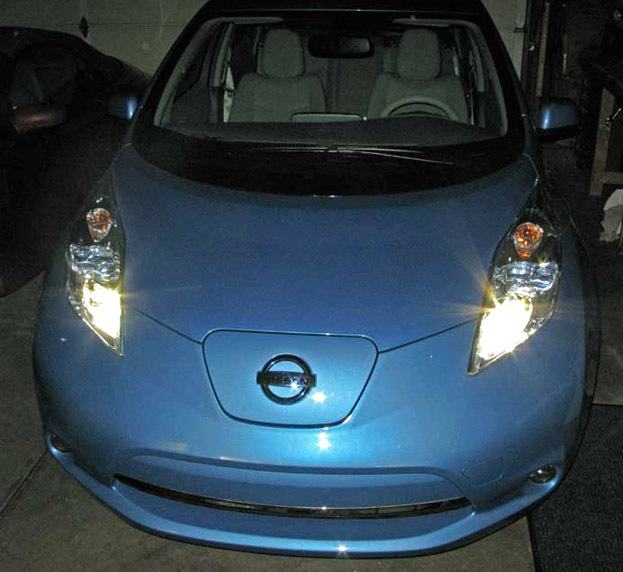 2011-2014 LEAF owners can pay a “co-pay” of $199 to update their TCU. You will need to provide the Nissan tech with your NissanConnect EV ID and password. They need the credential to perform some part of the upgrade. The service will continue for free, as before. 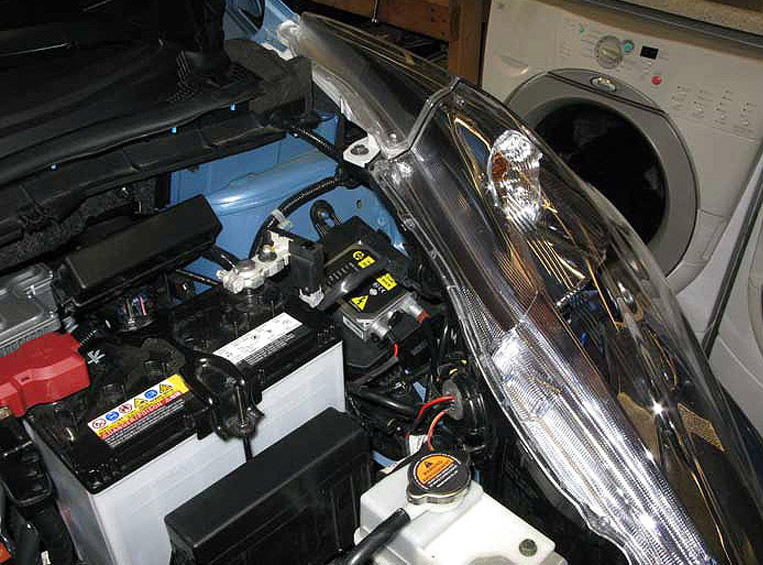 High beam: Xenon H9 35W light kit, w/ slim ballast. High beam:Xenon headlight kit H9 6000K white w/ slim ballast. High beam: Xenon headlight kit H9 5000K pure white w/ slim ballast. Fog light: Xenon H11 35W kit, w/ slim ballast. Hella H9 High Performance bulbs. 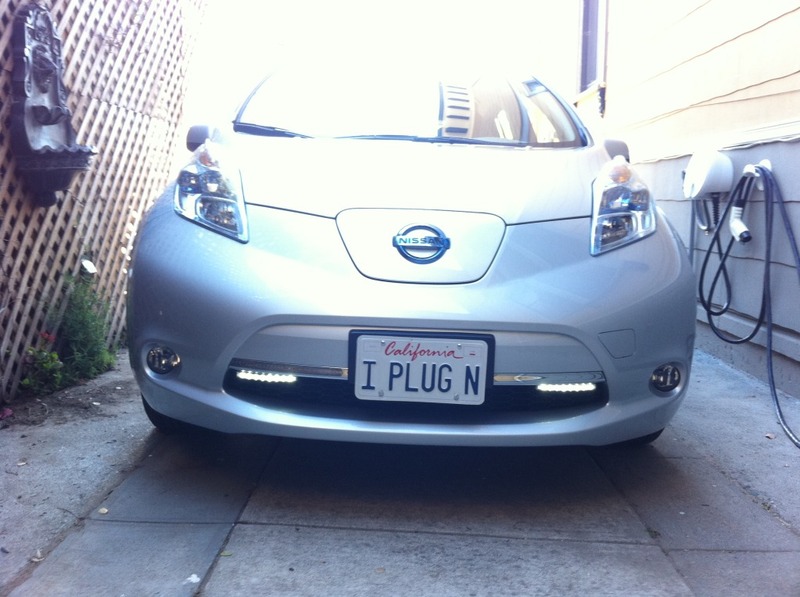 Sylvania now has bulbs listing for the 2011 LEAF. List of LED replacement bulbs for back-up, license plate, front side marker, side turn signal, front & rear turn signal, rear hatch & interior & map lights. Size of LED “festoon” bulbs to use for dome and cargo area lights: 31 mm, for example, these Lighting EVER 1.22″ / 31mm Festoon bulbs. 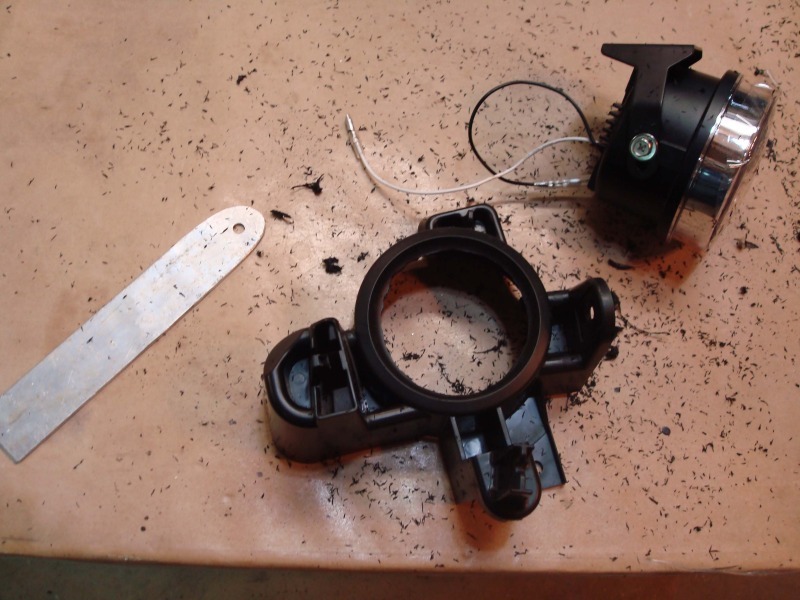 PIAA 3.5″ LED fog lights will fit LEAF SVs. Source for 5K LED parking light bulbs. 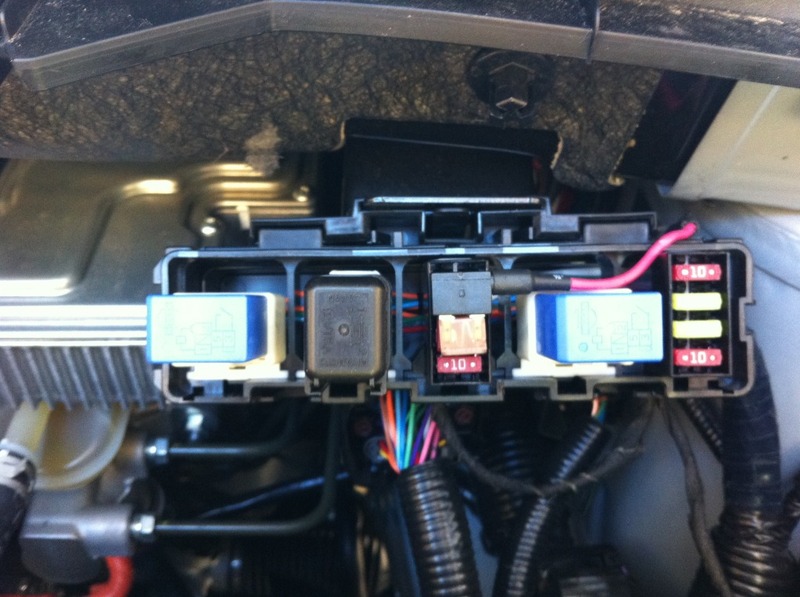 2012 LEAF’s do not have a glove box light, though they have the wiring harness for it. You can get the socket & bulb (product SKU 24860-ZE0001) from, for example, courtesyparts.com and plug it in. “Rollout on additional mobile platforms, including Android and some Blackberry phones will be announced this spring. If you are receiving a phone call and press the “hold” button on the navigation unit’s screen, its voice tells the caller to “lease remain on the line and hold”. Light for radio and climate control buttons, headlight adjuster, glove box light: fuse #47 in black box on driver side fender wall. 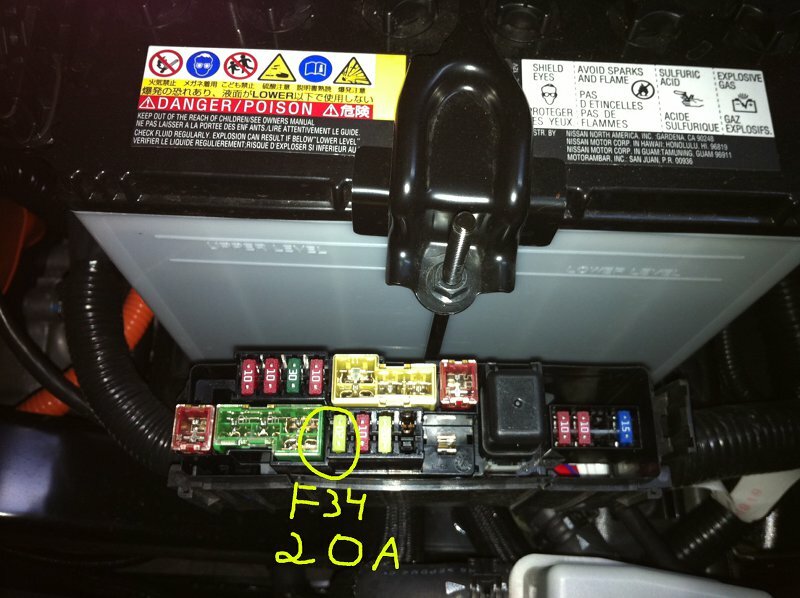 For GPS unit: #34 in fuse panel/box in front of 12V battery (under the hood, driver’s side). Blue LED ring around foglights. There is a report that it is possible to have the dealer re-program a LEAF’s “auto lock” behavior, changing between “lock when shifted out of ‘P'” and “lock when reaching 20 mph”. How to add LED “eyebrow” running lights, for a Chrysler 300 but may be applicable to LEAF’s as well. How to remove side marker lens: slide lens horizontally Need to find out whether to front or back or car! about 1/4″then lift trailing edge of lens. Detailed instructions + lots of pics on adding LED DRL’s that is on only when the car is on. Converting fog lights to white DRL. 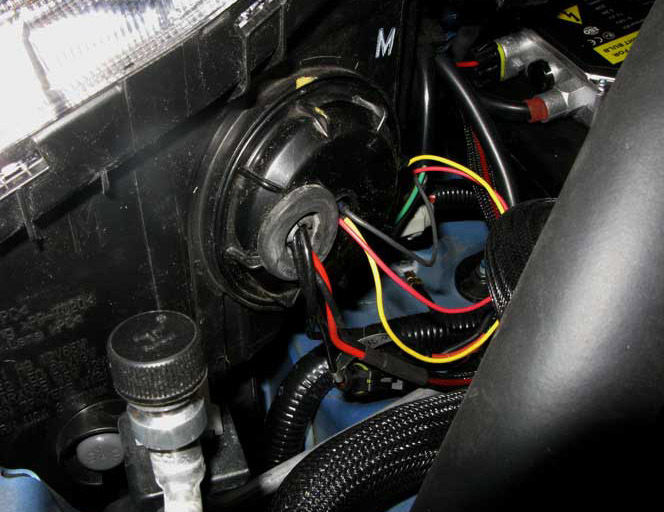 Adding LED driving lights, using an “add-a-circuit” on a switched fuse (which is on when the car is ON or when the car is charging). Pics and some more notes here. LED bulb for parking light: 194 LED Bulb – 9 SMD LED Wedge Base Tower. 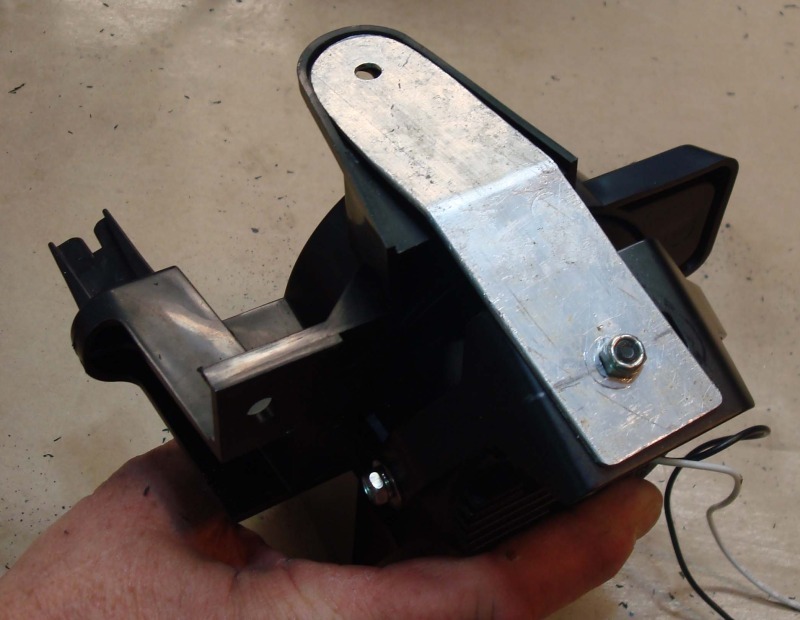 How to separate rear wiper blade from wiper arm. Adding back-up camera to LEAF SV: parts and detailed instructions. 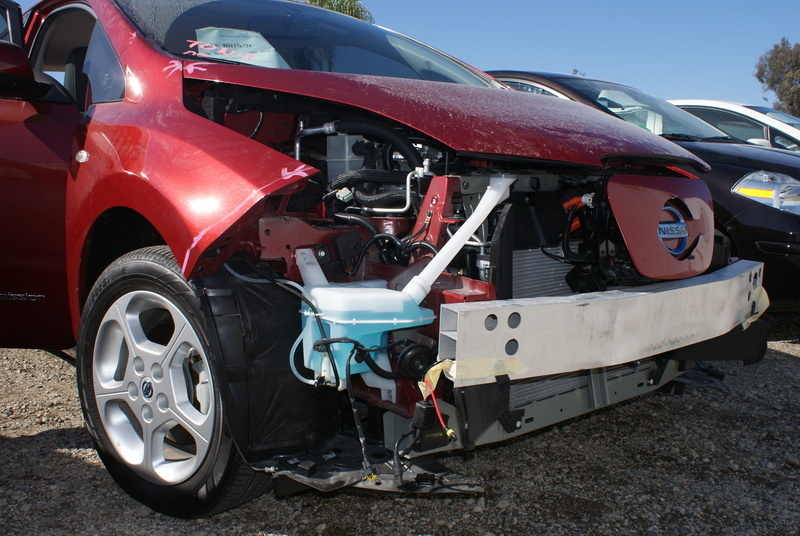 Nissan has an impact sensor add-on for the alarm system. It senses glass breakage, vibration, etc. and triggers the OEM alarm. 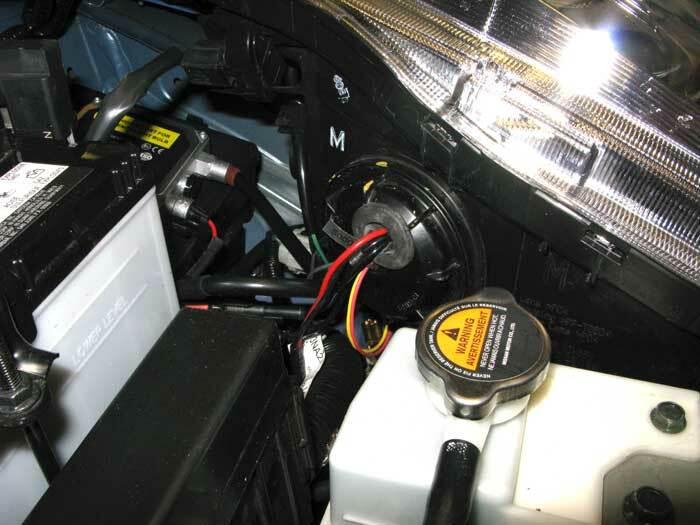 Here are installation instructions, for a 2008 Nissan Rogue; installation for the LEAF is probably the same: it installs under the driver’s side dash near the steering column. Price ranges from about $51 to $60. Adding HomeLink remote: HomeLink remotes are available on eBay. How to make the VSP (Approaching Vehicle Sound for Pedestrians) noise default to “off”. 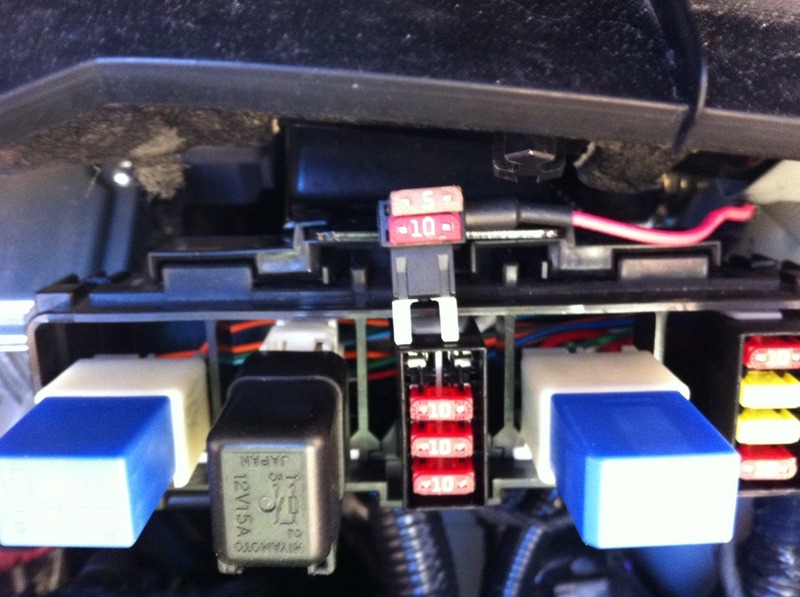 And how to add a “turn VSP off” button in 2012 LEAFs. Seat heaters: adding front and rear seat heaters in your 2011 LEAF, from the SF BayLeaf group (IN PROGRESS, 12/27/2011). Alternate means of splicing/tapping wires, from posi-lock.com: Posi-Lock, Posi-Twist, and Posi-Tap. Changing auto-lock-after-driving-away feature (also auto-unlock-when-turning-off feature). GPS’ “secret” screen displays fine-grain GPS-based speed. 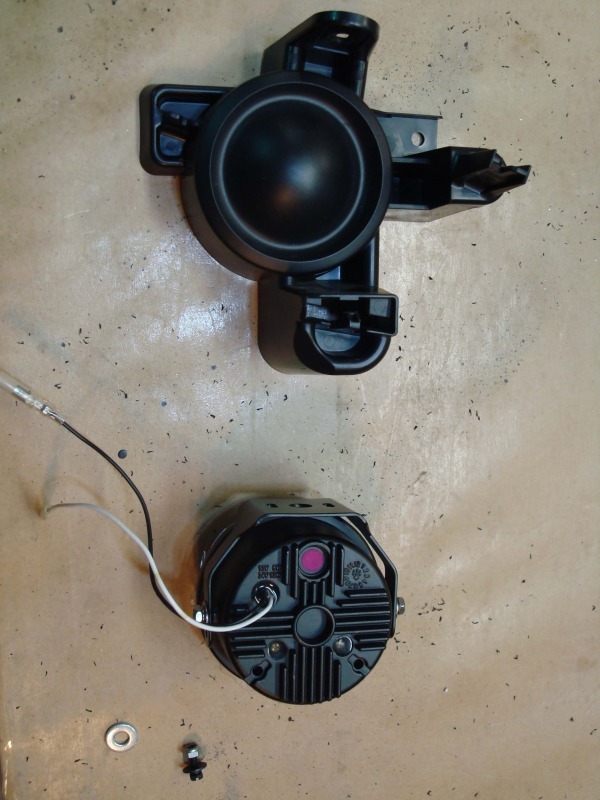 Replacing front 6.5″ door speakers with aftermarket speakers. How to edit stored point-of-interest (POI) data, at leafic.com. Using maps.google.com to program a destination into LEAF’s navigation system. Send addresses to your LEAF’s navigation system via the Web, at leafic.com. Plug-n-play navi speed override + rear view camera hack kit. Step-by-step guide on how to disable navigation unit’s speed override, with lots of pics. List of CarWings issues, at leafic.com. Logout and login again and store Carwings webpage as bookmark. A “TCU replacement” was done, because “it appears that Nissan shares some data with Carwings prior to delivery, and something in that information block needed to be updated”. Navigation & range bug: If, in plotting a route, the LEAF’s navigation system encounters an area with incomplete map information, it will not inform you in advance, so the “miles to destination” will be incorrect and you may not find out until you’re actually driving into that area. At that point, you may find out that your destination is too far away to reach with the remaining battery charge! Another possible (but less likely to work) fix is to disconnect the 12V battery for a while then re-connect; instructions for disconnecting the 12V battery is here. “Car won’t turn off” problem, resolution: replace “meter board”. “Center display screen blanked out … radio kept playing. … could not turn off radio“; things return to normal after power off/on. Disconnect 12V battery for for 15 minutes and reconnect. Issue with Bluetooth phone calls: if call drops, has to “cycle” phone’s Bluetooth to get it to pair up again. The dashboard’s clock is separate from the navigation unit’s clock; they display different times. Instructions on how to set either clock. List of dashboard issues, at leafic.com. List of audio issues, at leafic.com. List of navigation system issues, at leafic.com.